Someone on Inspire Swap Chat posted a message about this neat video showing how you can recycle the baggies that all those wonderful scrapbook supplies come in like the little gem bags and the bags that hold stamp sets. I fell in love with the idea and at my next visit to Target I picked up some candy and set out to create my own masterpieces. 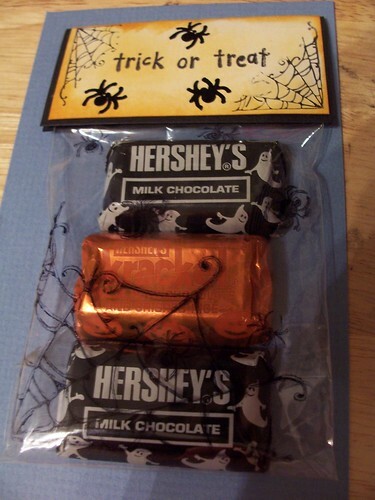 This year, for Halloween, the Hershey's miniatures are in black, orange, purple and green wrappers with ghosts, pumpkins and bats on them. They are perfect for a project like this. For some reason, my bag had a disproportionate amount of purple and green candies so I have been looking for ways to use just the one color. 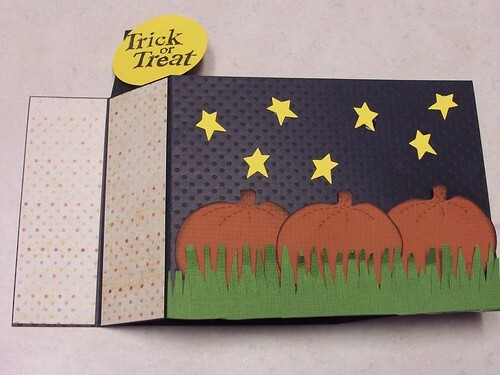 I used Inkadinkado stamps, Stazon, and orange and black inks to finish these off. 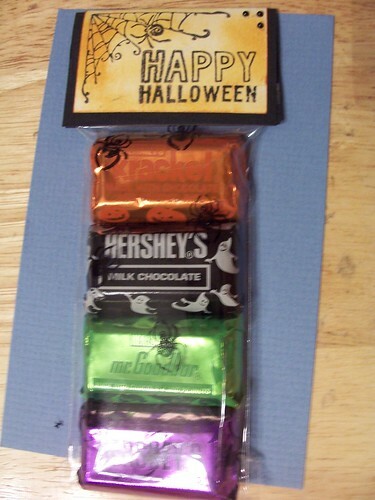 The really perfect thing about these treats is the package opens from the bottoms to the recipient doesn't have to rip open all my hard work. 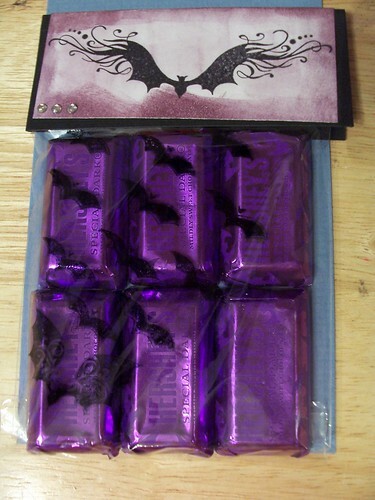 I am on a Halloween roll this week. 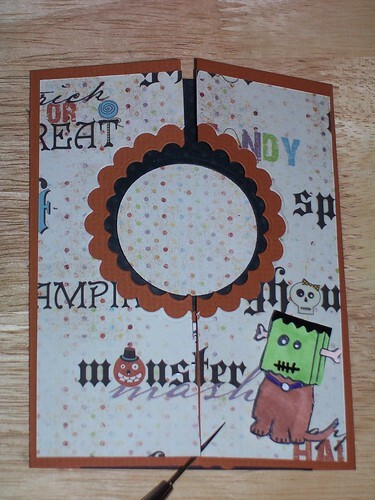 I have 2 more Halloween cards to share with you. 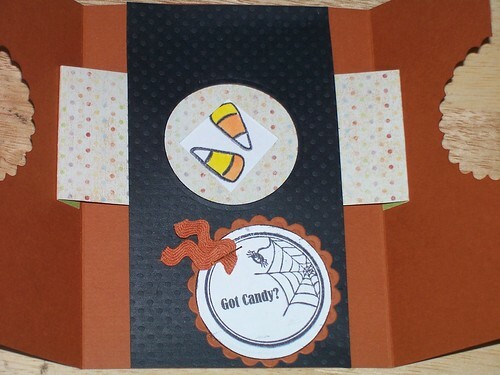 The first card is a tent topper card. I love these little cards! I started with a cool witch stamp from the Inkadinkado set. I wanted a little more color so I sponged some purple ink around the witch and filled her in with a gelly roll sparkle black pen. 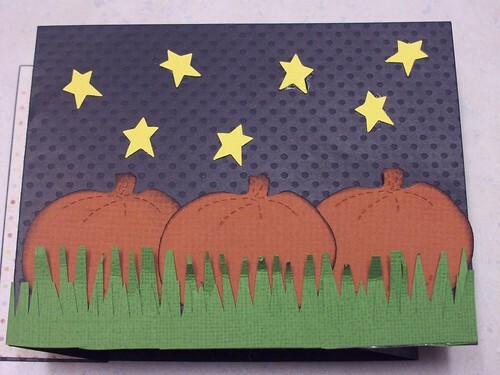 The card is finished with tulle. Tulle is one of my new favorite supplies. First off it qualifies under the ribbon category and I have a hording problem with ribbon. 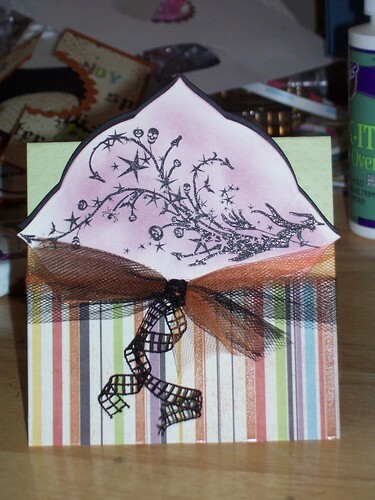 Secondly it adds a lot of dimension and texture to cards for only a little $$ (it is literally pennies a yard!). Lastly, you can find tulle in the wedding isle and most stores that sell fabric in just about any color you could want. My second card is based on a tutorial I found here. I love how interactive this card is. It has been a big hit with the kiddos. It was also relatively very simple to put together! 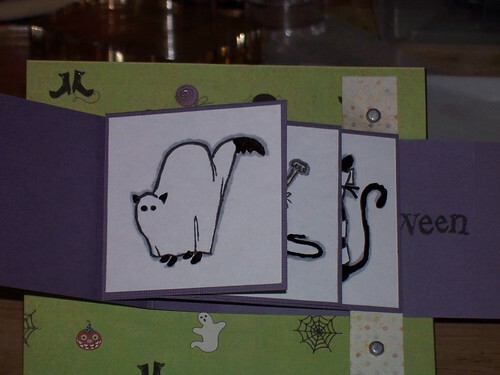 I have many many more occasions planned for this type of card. 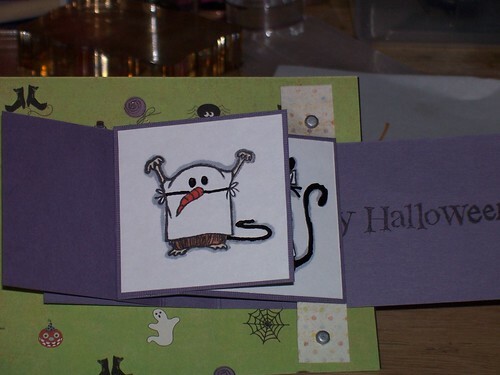 I've been working on some more Halloween cards now that the batch of birthday invitations are done. My next two cards used two techniques I've been wanting to try. I found them both on Splitcoaststampers. 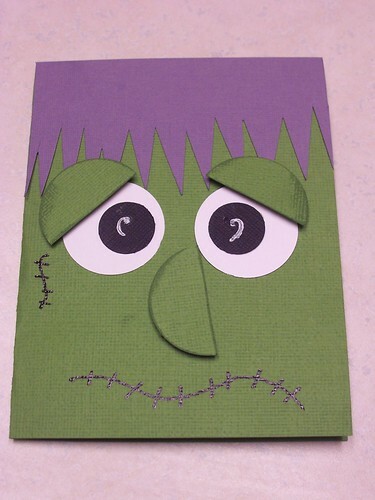 In the first card I created the neat Frankenstein card that was flying around last year at Halloween. I never quite got around to making one then so I made one this year. 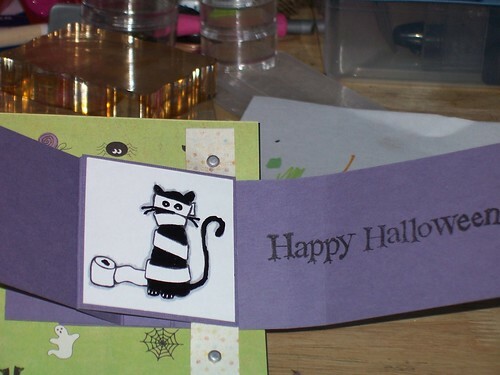 The second card I made uses the wiper technique. I have been in love with this technique for a while but some how never got around to trying it out. Simon will be turning seven in a few weeks. 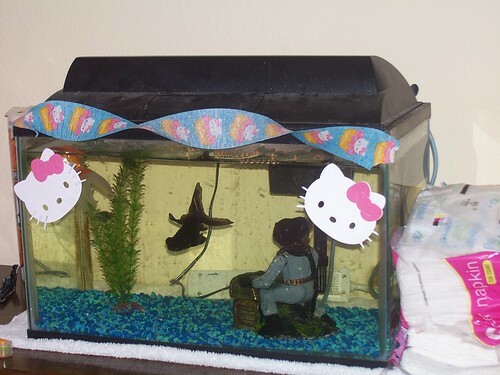 He wanted to have a party where friends come and play video games but that didn't work out. 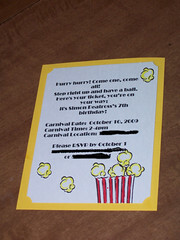 Instead we are having a birthday carnival. I sat down last night and made 24 invitations. I wanted something relatively simple as I had so many to make. Half way through coloring them I felt I should have used less popcorn! Other: Markers, computer and printer. I finally have my camera hooked back up so I can share some pictures. We have finished moving but are still living out of a lot of boxes. I've managed to completely set up the scrapbook area and the kitchen. Everything else is in various stages based on what I've needed. For instance this morning I had to dig in the garage for clothes I could wear to school as only my shorts have been unpacked. I wanted to share Simon's first day of school. 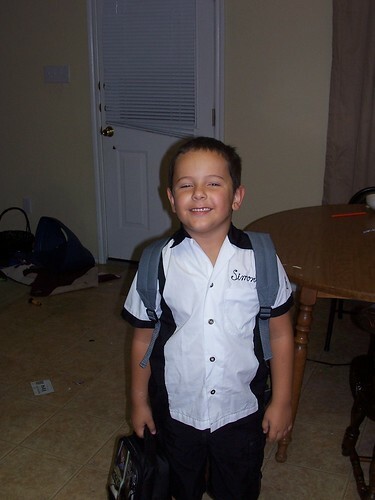 He was so excited to be going into the first grade. For the first week of school we drove 45 minutes one way to take him so he didn't have to switch after a week and for the second week of school we camped out in the new house until our furniture arrived on Friday. 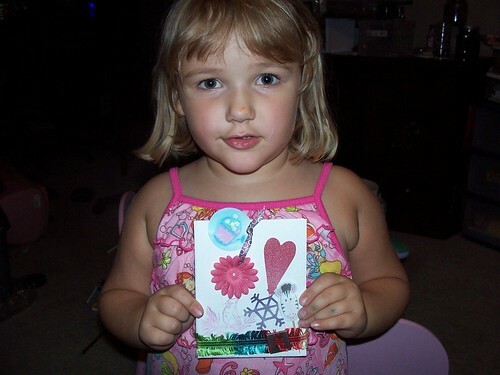 My little Lizzy loves to craft. Since I have the room set up she feels the supplies need to be used. As I was setting everything up, I reorganized some embellishments and gave things that I'm not really going to use to Lizzy. She has been waiting all week to make something with all her new goodies. 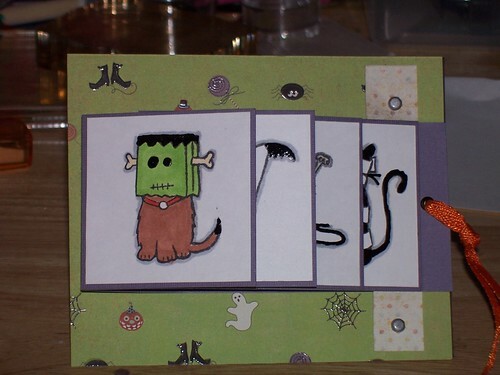 Last night I finally relented and she made a card. When I say she wanted to make something with all her goodies, I mean it literally. 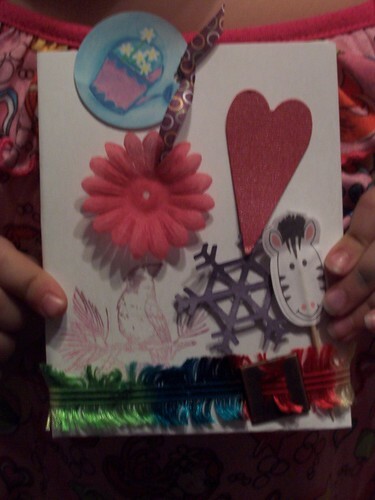 She had about a pound worth of metal stuff she wanted help attaching to this card. I talked her down to picking just a few favorites. Embellishments: Everything but the kitchen sink!